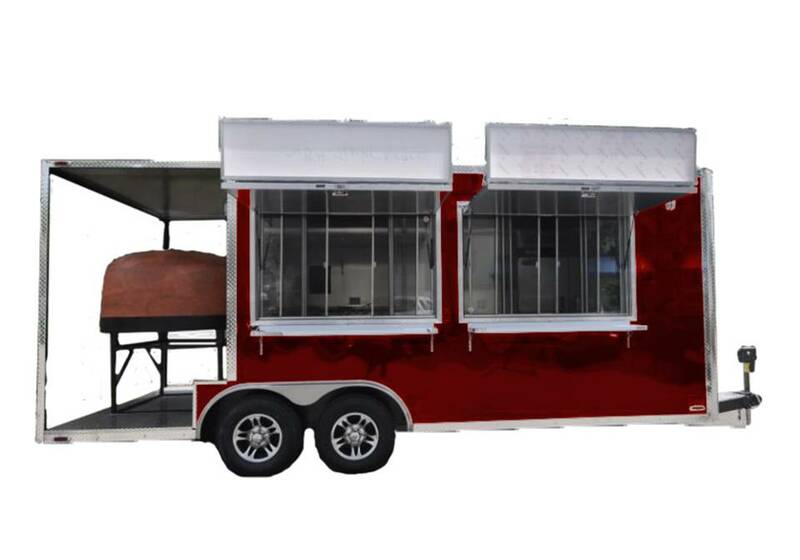 The Alexis Soyer is our lightest and most economical commercial mobile pizza oven on the road today. It is perfect for events where space is limited and for parties where the access is restricted – even small SUVs can tow it! 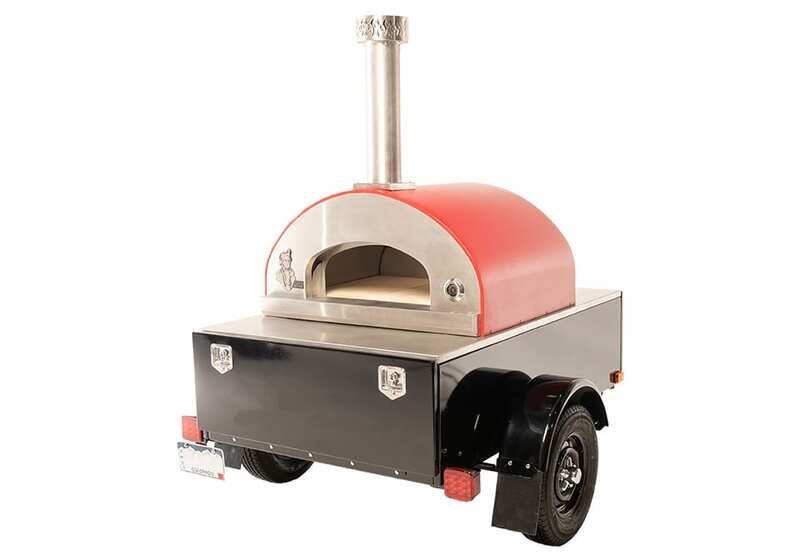 There is no other compact mobile pizza oven in its class that compares. Period. Begin your business with this trailer and expand as the profits come in. 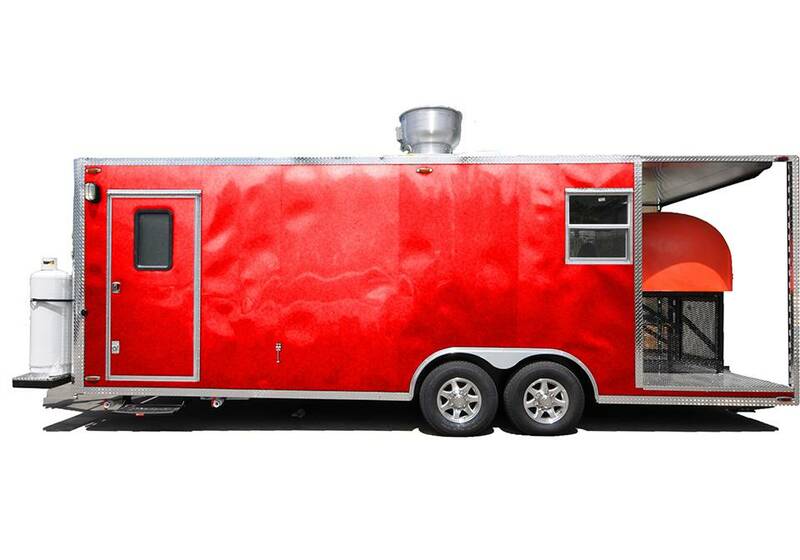 The Alexis is a lightweight, single-axle trailer with a mounted stainless steel wood-fired oven. 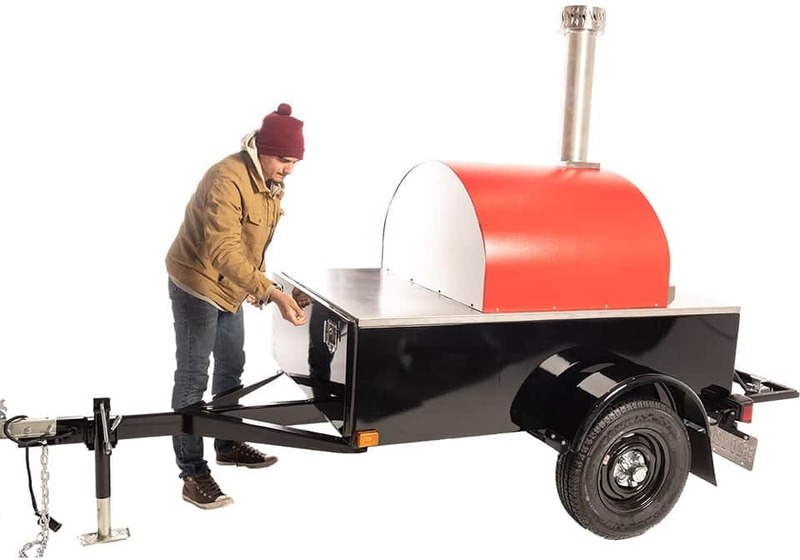 Capable of baking four (4) to six (6) 10″ pizzas at a time, this traveling wood-fired oven trailer is ideal for caterers, street vendors, and tailgaters. Using the Alexis Ultra40 stainless steel pizza oven, this mobile wood-fired oven has fast heat up times and is capable of reaching 800+ degrees in a little as 30minutes. Ideal for caterers wanting to bake 40 to 70 personal pizzas per hour. Weighing under 1,000 Lbs., this versatile traveling oven trailer is solidly built, easily towed, and can be positioned by a single person into almost any space. The Alexis Soyer mobile wood-fired ovens are stainless steel ovens manufactured in the United States. You can bake up to four (4) to six (6) 10″ pizzas at a time! Integrated 304 stainless steel counter top (prep) area. These wonderful stainless steel pizza ovens heat up remarkably quick (15-30 minutes) and use less wood on average than a traditional brick oven. 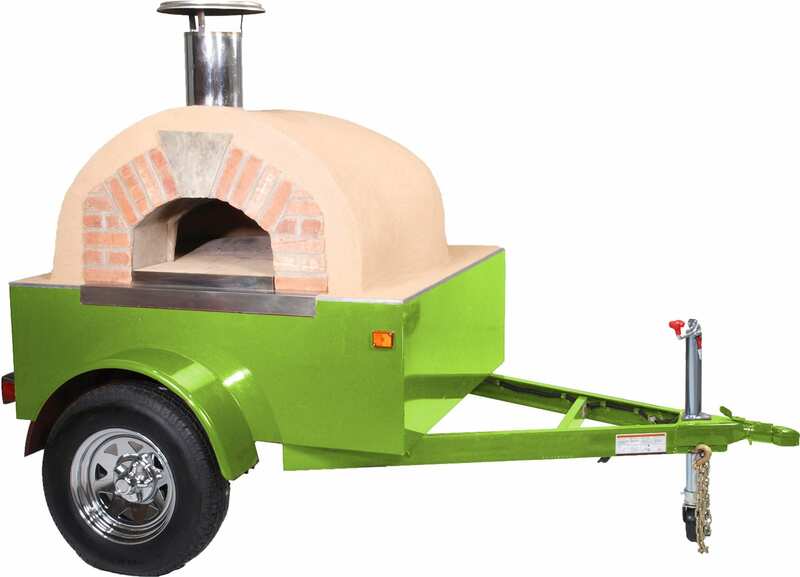 Best of all, you are going to love making Pizza Napoletana, hearth bread and other wood-fired cuisine in these portable ovens. You will not find another economical, compact wood-fired oven that can handle the rigors of cooking up to 70 pizzas an hour on a daily basis! If you have been wanting to get into the wood-fired catering business, or have always wanted to become the only street vendor in your area to cook wood-fired cuisine, then the Alexis Soyer is the model you have been waiting for!